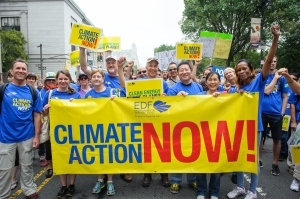 Tell your Members of Congress that you have joined over 2 million other eco-activists in standing with EDF—and you'll be paying attention. Your voice matters. Tell your elected officials that you speak for the environment. I am writing today to declare myself an eco-activist. By signing up with Environmental Defense Fund, I have joined a dynamic and involved community of more than 1 million members and activists. We are all working together to protect wildlife, safeguard human health, and combat climate change to make the world a better place. As an elected official, you're in a unique position to help us -- or hurt us. So I wanted to let you know that I am paying attention. Thanks to EDF, I am staying informed. And I expect you to join me in standing up to protect the environment.